This design is based on the De Havilland Metal Moth, inspired by all the women called to work by the government while men were at war in the late 1930s. Amy was a shining example of what women can do when given the opportunity. As a result, when the wars were over, women wanted independence and equality. 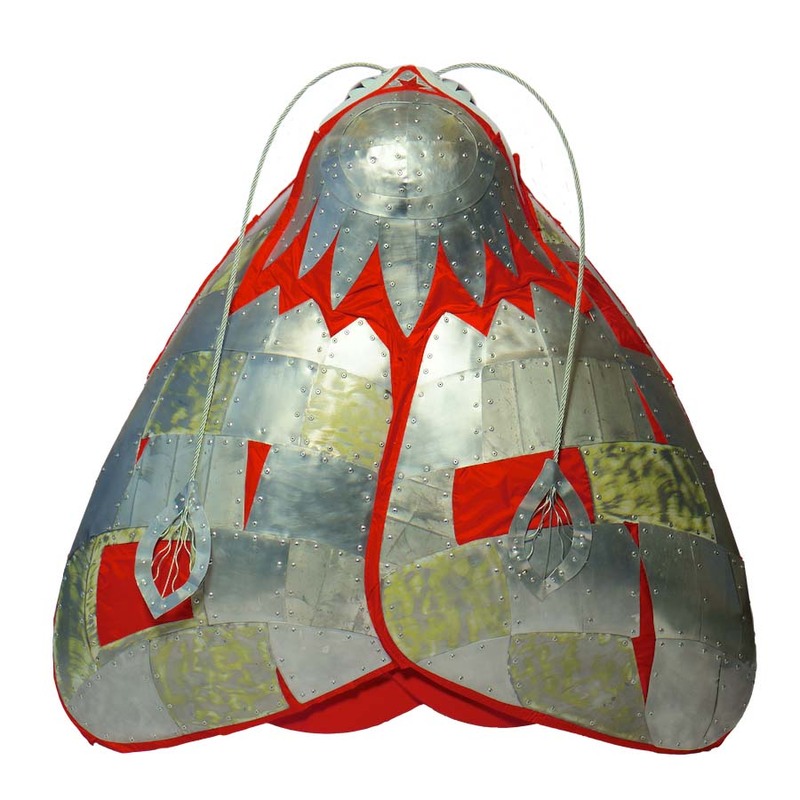 The moth is made of recycled sheet aluminium copper, riveted to the form, with lipstick red silk billowing out of the gaps. The antennae are constructed using steel rope with frayed ends, and the necklace is made from nuts threaded on cable. Allenby Commercial buys, constructs and renovates diverse properties for business needs. The influential company takes existing spaces and reinvigorates them to meet its clients’ needs, providing modern and workable spaces which adapt to the changing business environment. Having recently moved to a city centre location, Allenby Commercial is increasing the number of local clients it serves.